The trademark painterly elegance of Paulo Pasta is in two solo exhibitions that corroborate the resolute continuum of his three-decade disciplined narrative as a pivotal name of contemporary art produced in Latin America. 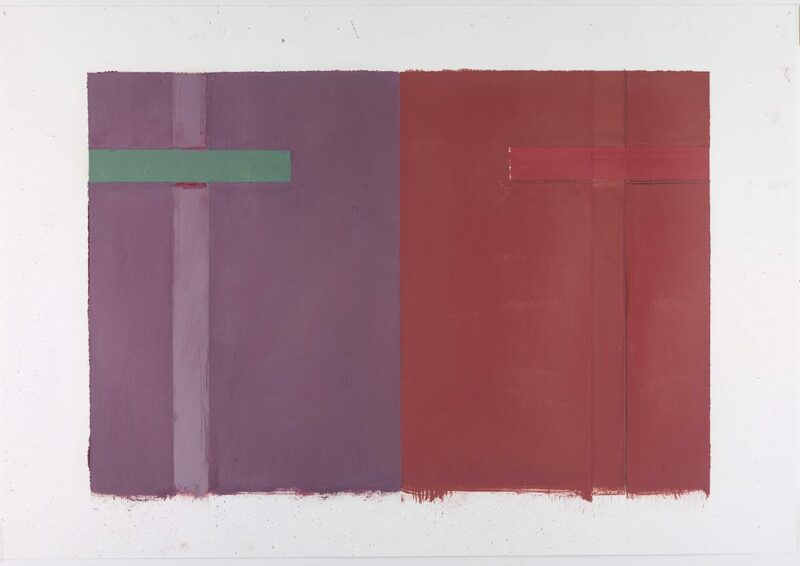 Twenty-four canvases and works on paper of his recent production are in display at Anexo Millan but it is at Instituto Tomie Ohtake (ITO), a longtime project that slowly swelled in scope and ambition, where the fifty-nine-year-old São Paulo State-born artist unmasks his grandeur. The museum exhibition is strictly build around ten large oil paintings of identical dimensions—precisely proportioned 240-by-300-centimeter canvases—produced in the past twelve years that now belong to major private and public collections. 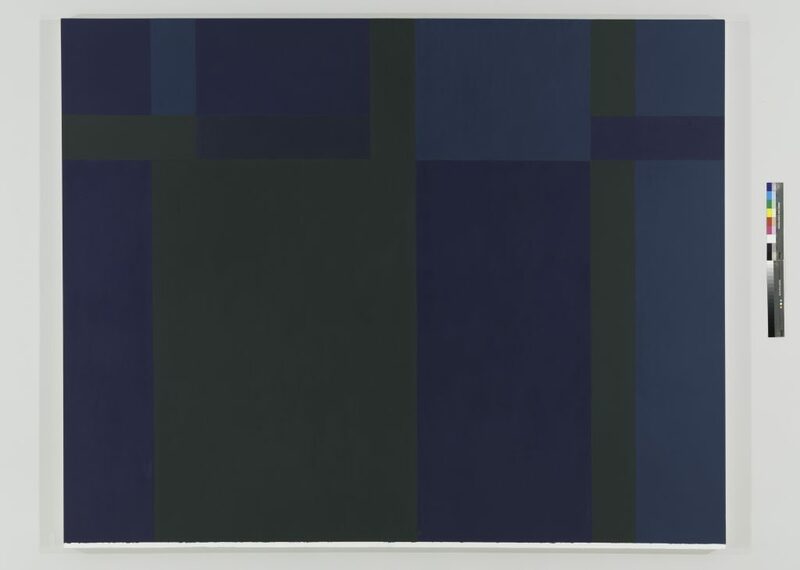 According to ITO’s curator Paulo Miyada, the common ground shared by Pasta’s works springs from “fields of color in consistent orthogonally sectioned large segments and regular contours structured on lines defined by blocks of color on a framework of crosses, portals, pillars and beams, with a chromatic variation per canvas of three to six shades of similar tonal values.” In other words, the geometric harmony and chromatic balance of the artist’s methodical ensemble works magically. Pasta’s oeuvre is in several of Brazil’s main public museums, among them, Pinacoteca do Estado de São Paulo; MAM/São Paulo; MAM/Rio; MAC/USP; Museu de Belas-Artes do Rio de Janeiro; and at important private collections in São Paulo namely Andréa and José Olympio Pereira; and Dulce and João Carlos de F. Ferraz; as well as at the Patricia Phelps de Cisneros Collection in New York and at the Kunsthalle in Berlin. Paulo, in the past three decades several interpretations of the apparent simplicity of your work have incited a host of curators and critics. 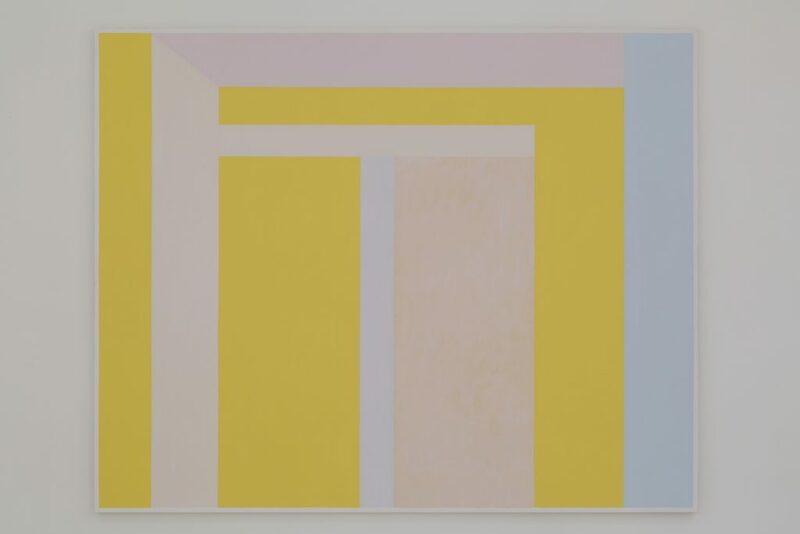 Is your painting geometric abstraction? How do you describe your narrative? As an artist, what defines my work has little relevancy. I don’t worry about it although it bothered me in my youth. I do not consider myself an abstract artist and do not aim to be one. 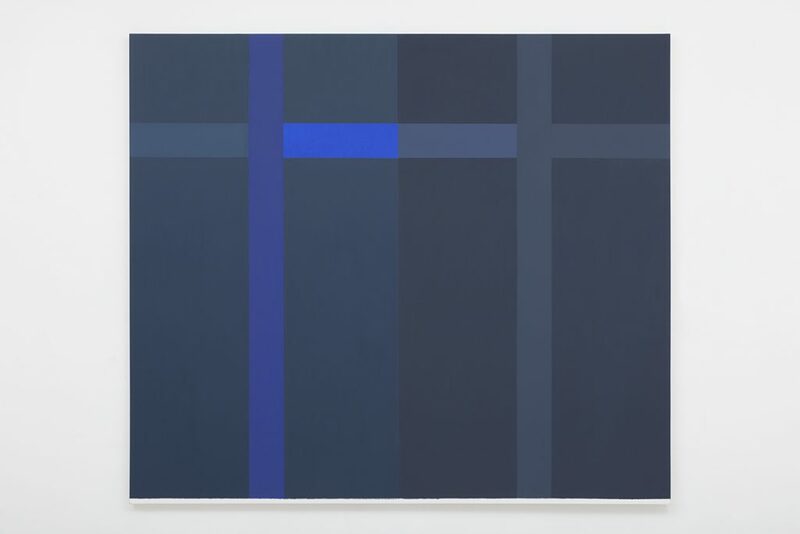 Reading Helio Oiticica, I came up with his definition of his own art, which I promptly adopted: “I do not work on abstraction. I work on synthesis.” My paintings convey an undertone of worldly things in its forms as well as a desire to be somewhere. I like things simple. The idea I am a geometric artist is related to my beginning. I am a Brazilian painter, I paint in Brazil and am part of its culture, but this does not prevent me from looking further to establish dialogues with things from afar. You are currently showing at Instituto Tomie Ohtake (ITO) and at Galeria Millan’s Anexo. What are the differences and similarities between the two solos? ITO is a panorama of my work in the last twelve years while the show at Millan focuses on my recent production. The ITO exhibition is a longtime project. The idea sprung up in a collective show in which I had a sole large canvas in the exact same room where my works are now being displayed. I wondered how nice it would be to have several of my large-format paintings all grouped in one place. 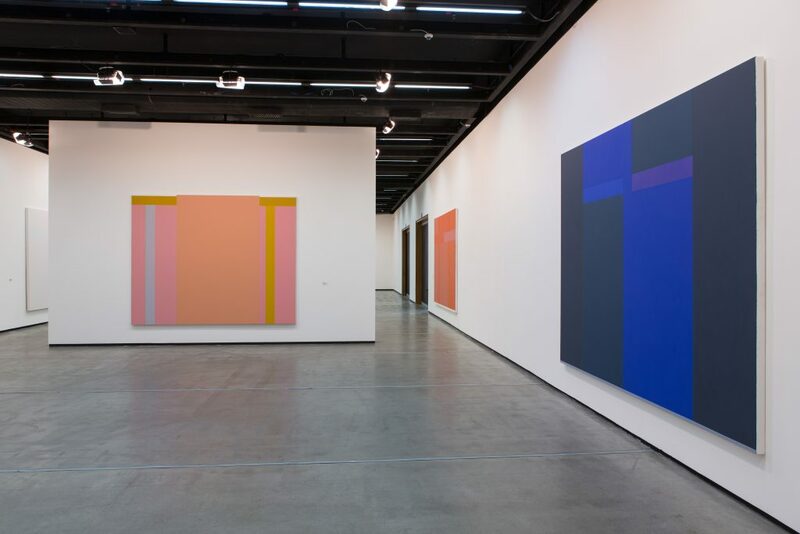 ITO’s interior architecture convenes very favorable proportion, scale and light to show painting. Since my paintings deals with the undefined and have a characteristic smooth approach to color, a place like that would only add to their allure. The show at Millan, in the other hand, was originally planned for November this year but we changed the agenda to tie up the two events. 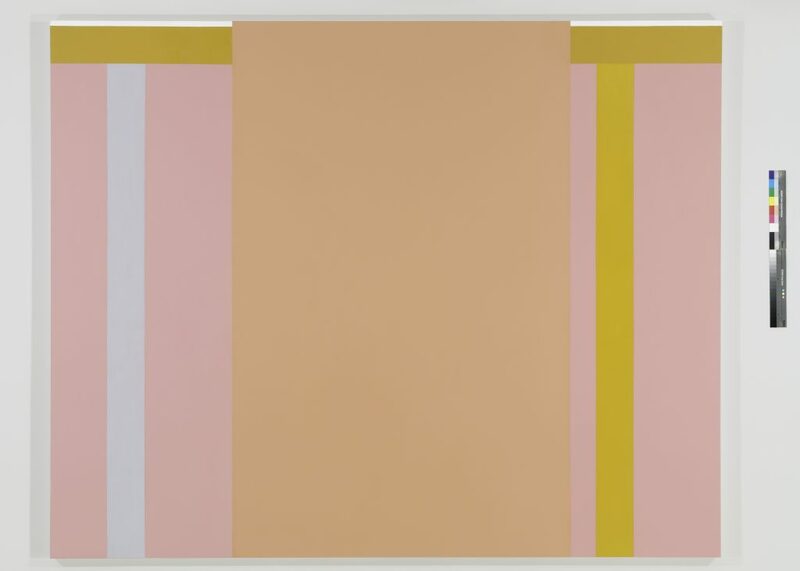 You once declared: “Volpi is the best and most complete Brazilian painter.” Olívio Tavares de Araújo was our first critic to state Volpi always produced the same painting, although each canvas is uniquely different. Is it the case with your work? Your question already holds the answer. I admire painters of several periods and I also enjoy searching for relations between them. Volpi, as I see it, is Brazil’s grandest painter. Among his remarkable qualities, one especially is his endless ability to unfold the same poetic narrative. 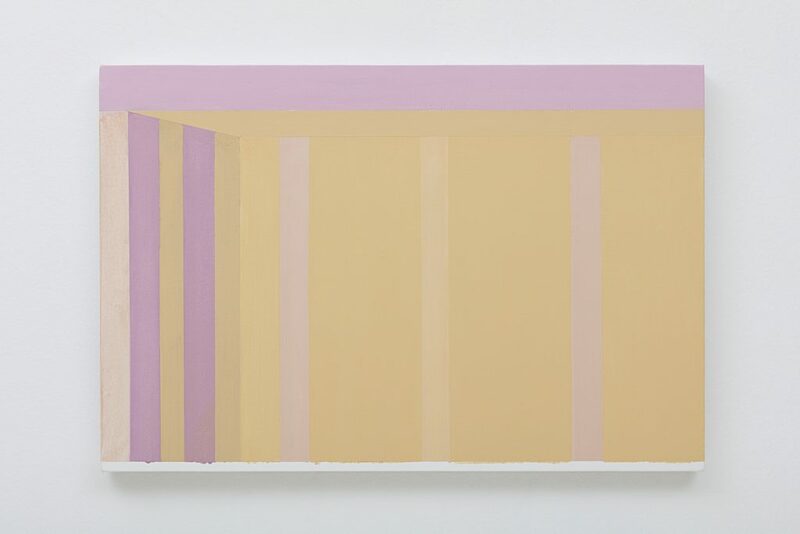 In Volpi, form is inbred from form, yesterday’s canvas prepares for the next one bequeathing from painting to painting a legacy that renders his oeuvre a rare unity and density. This is my aim, to unfold my works one after the other which explains my inclination for serial paintings. Apart from Volpi who are other artists you also admire? Cézanne, Matisse, Morandi, Rothko, Jasper Johns, Brice Marden… This is a modest sized-list since I feel tremendous joy in the work of other artists. I was lucky enough to have classes with Iberê Camargo and Amilcar de Castro, two very different, strong-willed men. Having always been involved in visual art makes me feel very fortunate, beginning with a doctorate from Escola de Artes Plásticas/USP where I later taught, then as a monitor and after a teacher at Pinacoteca do Estado. I have given painting classes at FAAP, Santa Marcelina, Belas Artes, presently I teach at ITO. It is well known you are very particular with your work process. Tell us about it. I have always painted my canvases hanged onto the wall and use a clipboard for drawings and paintings on paper. Very rarely do I engage in studies because the work eventually changes by the time it is done. There is no such thing as transposing an idea from a work to the next: each painting is a new reality. The works are never repetitions even when they seem very similar. In truth, I enjoy this deceiving closeness that at first glance makes them so similar. My preferred medium is oil paint; acrylic does not render the subtle tonalities I cherish. Since I never paint with pure colors, oil paint is able to render inexhaustible nuances. My use of colors springs from my sensibility but mainly from experience. 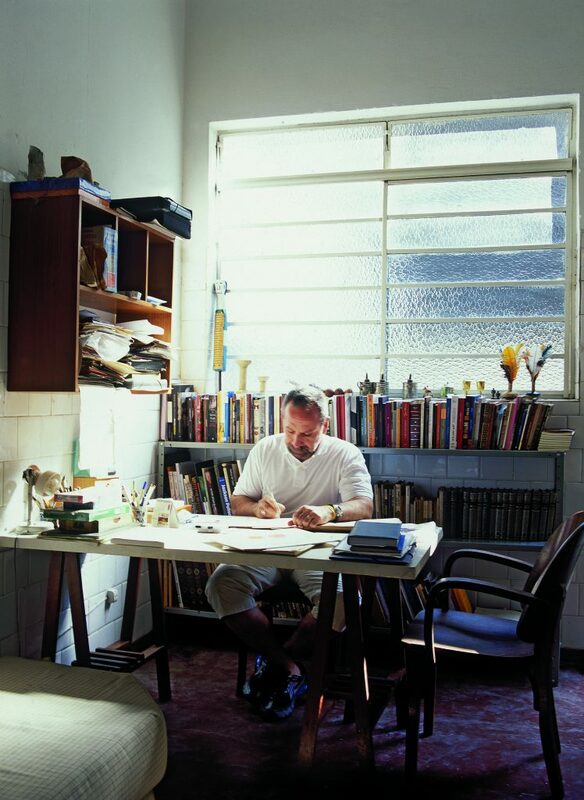 I read heaps of theories on color but as wise Amilcar used to say, “when sensibility does not reach out, knowledge does not deliver.” Since 2001, my studio is at Barra Funda [neighborhood in São Paulo] where I work from daily and with the help of an assistant twice a week. I always say the studio is the best place in the world. If I feel happy with my work everything goes. Can you give us an idea of your annual production? I keep track of all my work in notebooks. According to them, my average is circa twenty-five-to-thirty works a year. On them I sketch each painting and jot down the color mixture I used. Large-format canvas usually takes me over a month, smaller canvas takes less time and painting on paper is much faster. Are you planning a raisonné soon? That is something I would really love to engage in but up to now there is nothing planned. In truth, a raisonné is an illusion that apparently provides a deeper understanding of an artist’s work. In a way, it is the feeling expressed by poet Manoel Bandeira when he mentions the desire “de possuir o que me possui” [to possess that which possesses me]. The cross is very present in many of you paintings. Are you religious? I’m an agnostic. Sometimes I am tempted to agree with Freud who found superstition more desirable than religion. However I feel my spirit lifted by the manifestations of popular religion and its outburst of emotion in search for meaning and salvation with the inexorable presence of death. There is a silent atmosphere to your canvasses. Do you listen to music or do you work in silence? While I paint, I leave the radio on at Cultura FM. I enjoy classical music, it takes my mind away from the street buzz. But what I cherish above all is silence, it is true luxury. Among artists you are considered an erudite. Do you take time to read in the studio? What book is a major influence in your reflection on art? To devote my time to books on literature, poetry and art is one of the things I enjoy most. I relish the ideas of painters on art and revel in the thoughts of critics and philosophers. 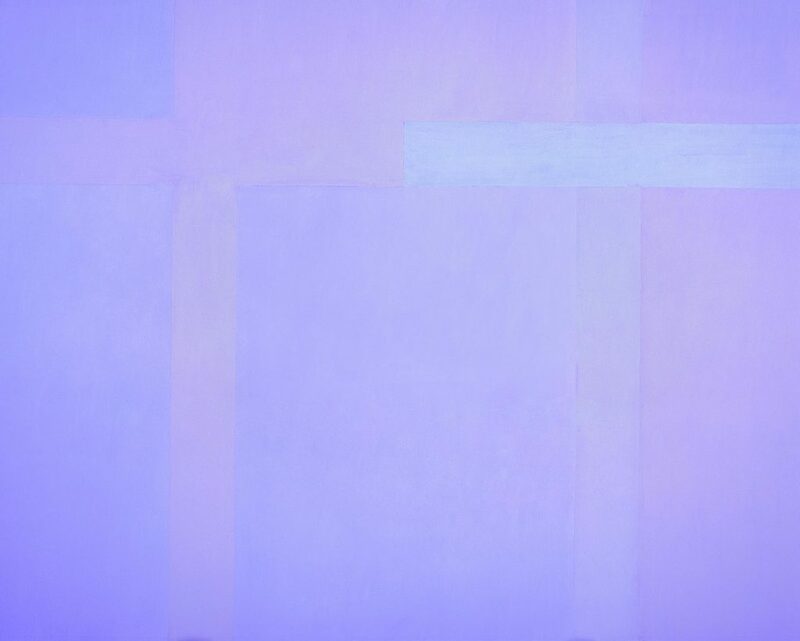 “Matisse on Art,” with his major writings was a significant reading, it led me to grasp that it is not the artist’s duty to “think” about his work as does the critic. The artist has another approach. Too much theory can lend the work additional artistic worries and all I do not wish for my painting is to be a commentary on whatever it is. Your work is more and more balanced and organized. Isn’t it about time to unsettle it? I appreciate order. I ask myself what order would that be in a world haunted by death? This orderly attitude would be, quoting Manuel Bandeira once more, the threshold of death, the possibility to overcome: “Quando a indesejada das gentes chegar, encontrará a casa limpa, a mesa posta, e cada coisa em seu lugar” [When the undesired turns up, the house will be clean, the table set, and everything in place]. In 2009, you were the curator of the exhibition of self-taught artist José Antonio da Silva, “Nasci errado e estou certo”(I was born wrong and I’m right). Does the metaphoric title of the show also apply to you? I picked it up the show’s title with his unusual jargon from one of his books. For JAS, the phrase refers to his impoverished social condition, his absence of formal education, his self-taught prowess. However it can also be interpreted comprehensively through a metaphysical light: one way or the another we are all born “wrong,” meaning we are unaware what the future holds for us and every plane, as in the surface of a canvas, is subject to the ups and down of destiny.